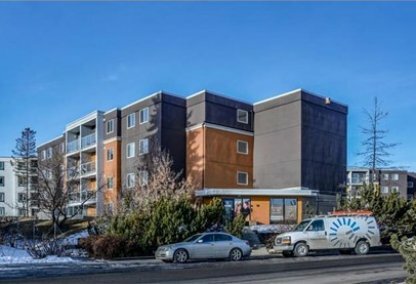 Search Greenview condos for sale in Calgary! The Greenview community enjoys beautiful mountain views and access to sprawling parks. It was created in 1991 when Greenview/Thorncliffe was divided. For information about the newest listings for sale in Greenview or to schedule a private home or condo showing, contact your Greenview Calgary real estate experts today. Greenview housing market statistics: As of April 25, 2019 there are currently 11 properties for sale in Greenview listed as active, with an average asking price of $211,354. The highest-priced property is $429,900; the lowest priced property can be purchased for $109,900. Greenview neighbourhood listings have an average price of $218 per square foot, based on listings with 2.4 bedrooms, 1.5 baths, and 968 square feet of living space. Selling or buying a condo in Greenview Calgary soon? Call Justin Havre at RE/MAX First - 403.217.0003. Our community of Greenview real estate agents will help you navigate the Greenview housing market in Calgary. Greenview boundaries include 64 Avenue (North); McKnight Boulevard (South); Deerfoot Trail (East); and Thorncliffe (West). Major roads are easily accessible for commuting downtown or to the airport. The Greenview neighbourhood includes a mixture of single-family homes, townhouses, condominiums and duplexes that attract many types of buyers. The city views make this cozy community a gem in the City Centre Calgary real estate market. The Thorncliffe–Greenview Community Association has a facility with sports and social offerings for everyone in the neighbourhood. There is even a bowling alley and senior centre. Girl Guides and Boy Scouts share the facility with parents groups and Tai Chi classes. Social events including dances and craft fairs are often held on the property, as well. The centre enjoys the financial support from fundraising done by the Men's Booster Club and Women's League. Greenview homes for sale are close to the rolling hills of Nose Creek Park and Nose Hill Park, as well as the Calgary Winter Club. Golfers enjoy proximity to many neighbourhood golf courses. There are also many shopping plazas for all of your purchasing needs. Beddington Town Centre is the largest mall within the surrounding area. There are a number of schools in the Greenview community. Elementary Schools include Colonel Sanders Elementary, Thorncliffe Elementary, Buchanan Elementary, Greenview Bilingual Elementary (Fr), Collingwood (Sp), and Senator Patrick Burns (Sp). Junior High schools include Sir. John A. MacDonald, Georges P. Vanier (French), and Senator Patrick Burns (Sp.). High Schools near the neighbourhood include John G. Diefenbaker and James Fowler William Aberhart (Fr) (Sp). 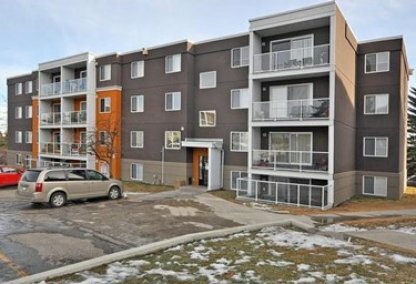 Thinking of buying or selling a condo in Greenview Calgary? Let our local real estate agents help guide you through the purchase of your next property, or to professionally negotiate the sale of your current home. As local Greenview real estate agents, we're experts on the market dynamics unique to the Greenview real estate. We'll get to work today! Contact Justin Havre at RE/MAX First - 403.217.0003 to learn more about buyer or seller representation. Planning to sell your Greenview home? Check out our home evaluation tool, where you can instantly view Calgary Homes Values online!